Beretta has been developing some of the best firearms in the world for roughly 500 years and they’ve showed no signs of slowing down. Although not a brand-new release, the CX4 (released in 2003) is representative of the head of steam build up by Berreta. 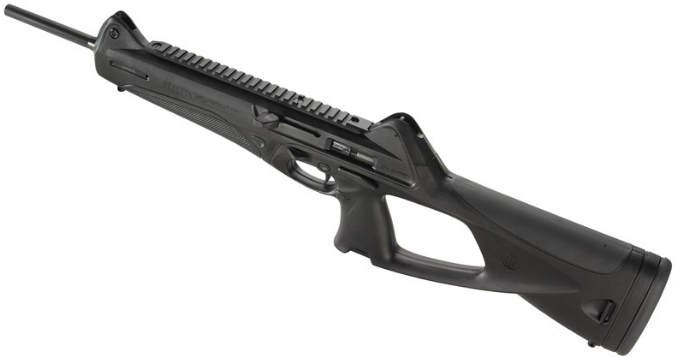 The CX4 Storm Carbine, that is; this thing of beauty is anything but ordinary. 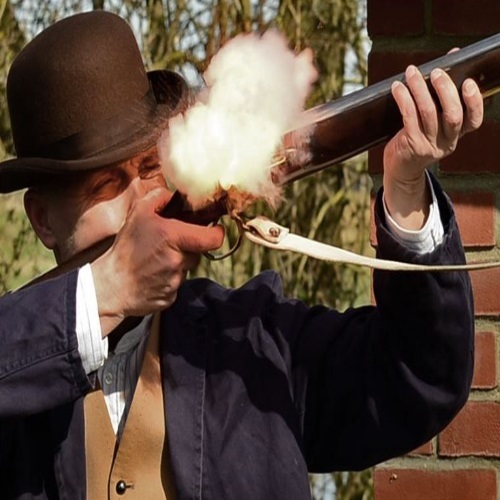 Based on pure appearance and aesthetic alone the gun is a joy – shooting it brings even more untold enjoyment. The CX4 is less than twenty years old but has already found its way into the hearts of law enforcement, personal defense shooters, and competition shooters alike. There is so much to talk about with this gun, so let’s not waste any time. • Model: CX4 Storm 90. • Calibers: .40 S&W, 9x19mm Parabellum, .45 ACP, & 9x21mm. • Barrel Length: 16.6” (some models feature a 19” barrel). • Weight (unloaded): 5.7 lbs. (90.8 oz.). Besides for the CX4’s beautiful aesthetics, this carbine also features an impressive build. Not only are nearly all of the CX4’s components ambidextrous, many are also adjustable. Besides for making left-handed shooters happy, this gives the Beretta a custom-feel. The Italian company also designed the gun to be highly modular – most parts can be switched quickly, easily, and without tools. Additionally, besides for chambering several different cartridges, the CX4 also accepts magazines from the Beretta 90-series and PX4 handguns. One of the best features on these carbines is their sight system. The combination of the adjustable front sight and aperture rear sight offer quick target acquisition/alignment. I also found that these sights enabled me to stay on target while changing mags. One of the most important factors in owning a firearm is keeping it clean and in order to facilitate that, the CX4 has a chrome-line barrel. This helps minimize corrosion and just makes the gun less of a pain to clean. That being said, I can’t stress enough how crucial it is to maintain your firearm. To put it simply, the CX4 is the perfect balance of a pistol and rifle. By shooting like a rifle and handling like a pistol, this carbine is the perfect choice for shooters of all experiences. Although I mentioned it earlier, I can’t stress enough how versatile this Beretta is. The fact that most of its components can be reversed plus its simple takedown make the CX4 a dream. After examining the Beretta CX4’s build, it’s no wonder that is shoots extraordinarily accurately. To ensure its accuracy, the Italian company incorporated a cold-hammer forged barrel and it does not disappoint. 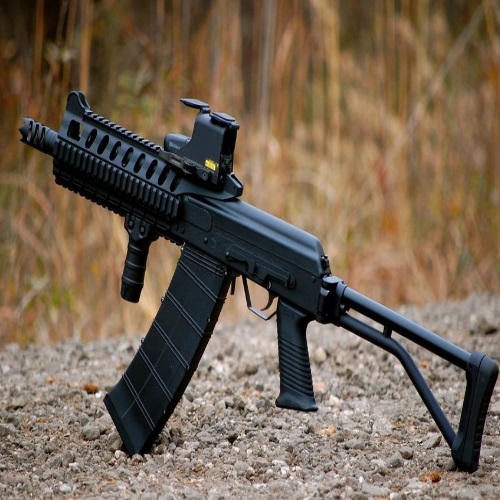 The uniquely designed carbine features the best parts of both pistols and rifles while providing the shooter with an easy and comfortable shooting experience. One of my favorite components of the CX4 is its adjustable length of pull. As a shooter from Pennsylvania, I find myself shooting in all types of conditions so I was happy to see that this gun can adjust accordingly. For instance, whether hunting in December with a big jacket or target shooting in May in a T-shirt, the CX4 can adjust accordingly. 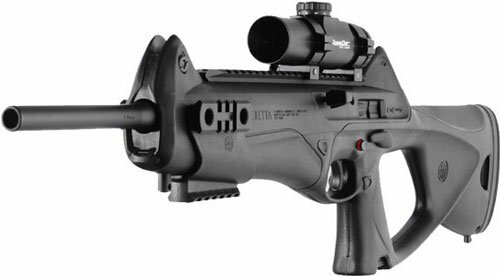 In order to make their carbine even more precise, Beretta designed the CX4 with astoundingly low recoil. And we can’t forget about the sights; the factory installed sights are some of the best you’ll find on a brand new rifle/carbine. The adjustable front sight and aperture rear sight make precision shooting faster and easier than ever. Overall, the Beretta CX4 is not only extremely accurate and easy to use, it’s also real pleasure to shoot. The CX4 is a highly versatile firearm. Its ability to fire several size cartridges and mags makes it ideal for multi-purpose shooters. The Beretta carbine flawlessly accepts full-size Beretta 92-series and PX4 magazines and comes with two well-made 10-round mags and a magazine loading tool. Because the CX4 can handle 92 Series mags, there are extended mag options such as 20 or 30 rounds. Although I’ve already discussed the CX4’s build and performance, I haven’t even told you the best part. These carbines come with a full-length aluminum Picatinny rail for mounting optics of your choice for a custom-shooting platform. As if it wasn’t impressive enough already, the CX4 acts likes a blank canvas just waiting to be painted. 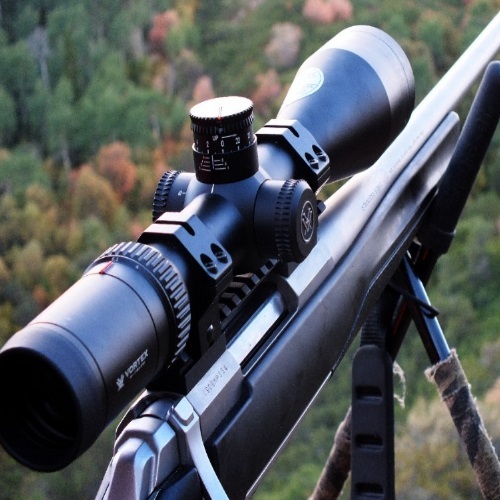 The top rail is ideal for mounting red dot sights and assorted optics and the retractable rail extending from the fore-end is great for throwing on a tact-light. If that’s not enough for you, users can also deck out their CX4 with additional rails on the sides and bottom of their Beretta. With all of these rails the CX4’s aftermarket options are nearly endless! For starters, my go to accessory has got to be a good fore grip and the Beretta-made CX4 Storm 4 position folding grip is a great choice. Many employ a tactical flashlight, and I highly recommend the OV-2 LED light. Although it can go for around $300, it’s a great light that is durable, effective, and comes with a whole package of related tools and equipment. Last but not least is one of my favorite additions to a carbine, and that’s a laser sight. The LaserMax UNI-MAX-B is arguably the best aftermarket option for the CX4s. It’s not only high powered and extremely rugged, it’s also as small as a matchbox, so it won’t take up too much real estate. 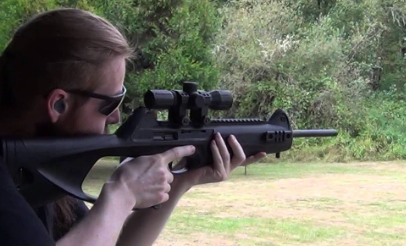 Carbines are really great guns, especially the Beretta CX4 Storm, but how does it compare to similar models? After doing some digging, I came across only two other carbines which came close to the Beretta. The American-made Kriss Vector and Kel-Tec Sub-2000 are both solid alternatives to the CX4, but I wouldn’t necessarily place them in the same tier as the CX4. They are very reliable, durable, and accurate weapons, but all things considered, the Beretta carbine takes the cake. In my subjective opinion, it is a far more attractive gun than these two competitors are to boot. With that being said, it obviously isn’t all about looks. When it comes to their versatility, the Kriss and Kel-Tec were almost as impressive as the CX4 Storm. All three of these guns can chamber several different mags and cartridges. However, there were features of these guns which really stood out to me: The Kel-Tec Sub2k’s unparalleled lightweight build (4 lbs.) and the Vector’s massive range in length and weight depending on the model, ammo, stock, etc. These are great options to have, but the Beretta is the clear winner. In my experience shooting and reviewing guns, very few have left a lasting impression the way the Beretta CX4 did. After just a few clips, it was clear that this was no ordinary carbine; Beretta developed the CX4 impeccably while offering endless options for accessories. These details along with the fact that it can handle several types of mags and rounds makes it clear why it’s become a favorite among all types of shooters. Although I’ve heard some complaints about the CX4 Storm’s price, I find it to be more than reasonable when you consider that it is top-shelf firearm and arguably the best in its class. So what are you waiting for … go out and try it for yourself –you won’t be disappointed! Keep on browsing. We’ve got a Beretta ARX160 review with your name on it here at Gunivore! Wanted a 40 s&w carbine to go with my 40 pistol. With a little research decided I would look at a cx4. My lucky day at my gun shop they had a new cx4 in 40. Price was $550.00 ,I snapped it up. Best decision on guns I have made. My go to gun of choice. I was so lucky!!!. Thanks Beretta !!! Accurate, and reliable . Scott, you will be well pleased. I have one in 40 cal for several years. I have set it up for home defense. The sights built in are all I need. I have had a scope on it, shooting to 100 and 200 yards. Very good at that range, however, I liked it better with no scope shooting out to 100 yards. Very easy tare down and cleaning. I attached a sling also.